Veterans Day is observed annually on November 11. It’s a time to thank all those who served honorably in the military—in war and peace—demonstrating their patriotism, love of country and willingness to sacrifice for all of us. The commemoration marks the anniversary of the end of World War I in 1918. Originally, it was proclaimed Armistice Day by President Woodrow Wilson. In the 1940s, a World War II veteran had the idea to expand Armistice Day to celebrate all veterans. Gen. Dwight Eisenhower supported the idea for a National Veterans Day, and it became the official holiday under his presidency in 1954. Veterans Day now honors all generations of Americans who served with courage, strength and distinction to defend our freedoms. Please join us in thanking the men and women who have worn the uniform, those currently serving and their families for their sacrifices and dedication to our state and our country. 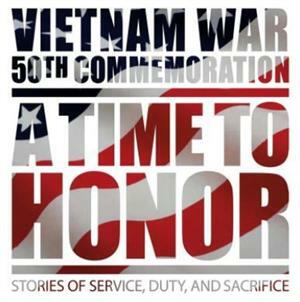 All Vietnam-era veterans should stop into their county Veterans Affairs Office to pick up a free copy of a special book commemorating the 50th anniversary of the Vietnam War. The hardbound, 175-page book, A Time to Honor: Stories of Service, Duty, and Sacrifice, is for all Vietnam-generation veterans or surviving family. The Iowa edition has its own foreword dedicated to our own Vietnam veterans. The gift includes a 60-minute documentary on DVD, The Journey Home. For more information, go to www.vietnam50gift.com.